This very attractive utility launch has loads of potential but requires significant T.L.C. to bring it back to its former glory. The flat-bottomed planning hull and bow of the Utility 26 was made to compliment the lovely raised sheerline towards the bow; and slight tumble-home toward the stern and rounded transom. The bow offers protection from both wind and wave and shows off woodwork on the both fore and aft decks. The vessel looks good from most any angle. With the centrally mounted inboard engine and open walkabout cockpit, the payout offers several options for entertaining. 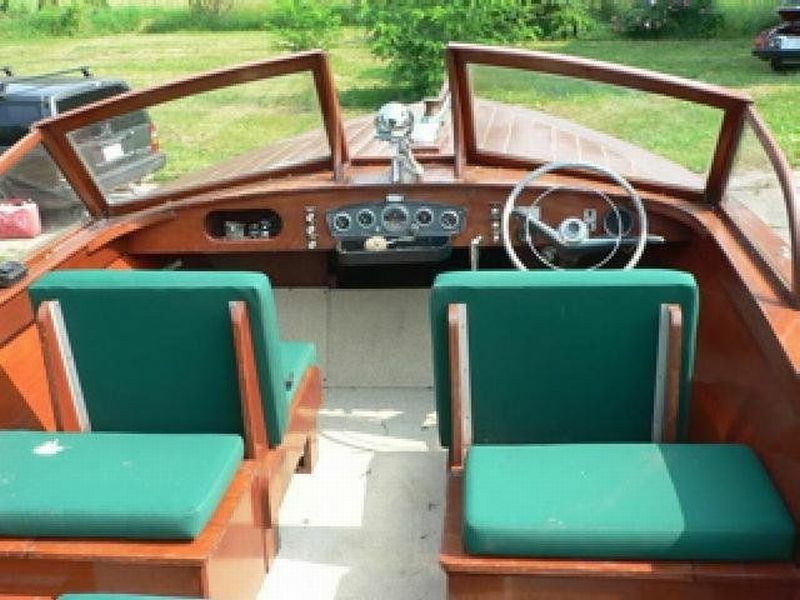 The aft bench offers an open and unobstructed view forward toward the wonderful woodwork, Condition is evident from the initial view, with topside brightwork shining, windscreen, cleats, bow fitting vents and chrome work all seen to be showing in very good condition. 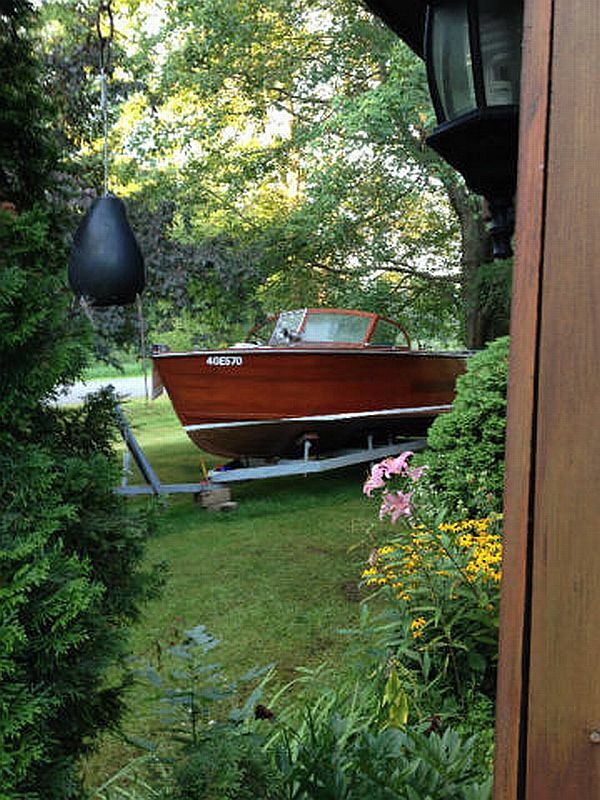 Vessel is powered by single shafted screw and a 283 Chevy engine. 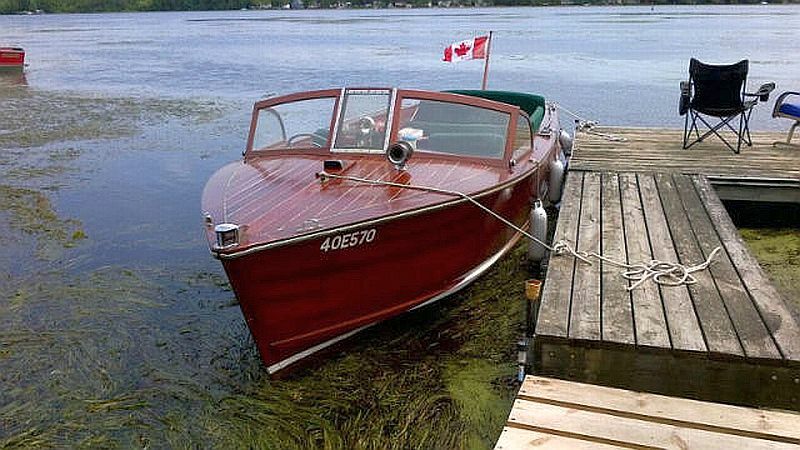 ← July 6, 2016: our newest listing – an exceptional Peterborough Royal; 16 ft, 1958.